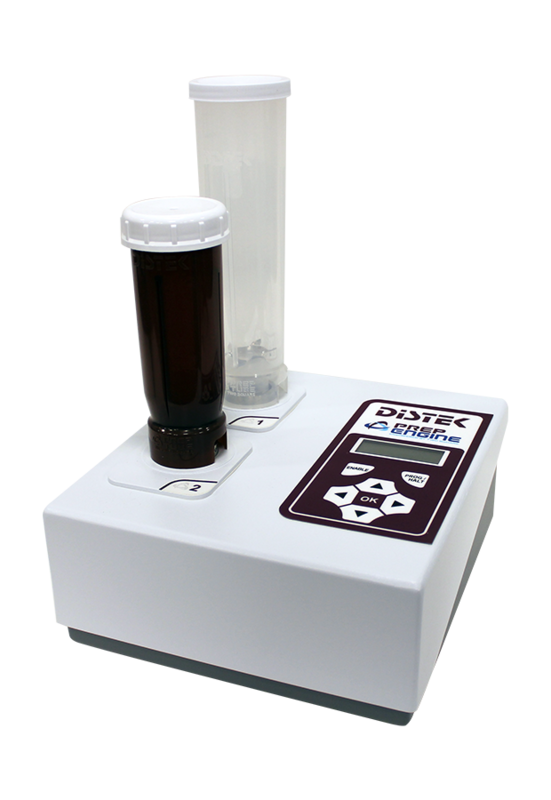 Distek, Inc., an industry leader in pharmaceutical laboratory testing instruments, accessories and validation services, is excited to release the PrepEngine Mini Sample Prep Station for assay, impurity and content uniformity applications. The PrepEngine Mini’s compact benchtop design incorporates two high-speed PrepTube stations with adjustable speed from 100 to 6000 rpm and run times from 5 seconds to 4 hours. Multiple PrepTube designs and sizes including clear or amber, non-sterilized or sterilized, and 50-500 mL, provide maximum testing flexibility. Simply insert and twist a prepared tube to start the test. To learn more about the PrepEngine Mini or to schedule your live demo, contact Distek Customer Service at +1-732-422-7585, by email at info@distekinc.com or visit www.distekinc.com.